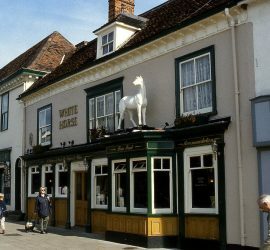 The White Horse is the perfect place to enjoy a few drinks, great entertainment and good company. We offer a range of drinks including draught lagers, real cask ales with a guest beer every week plus a selection of great wines, spirits and soft drinks. Food can also be served in the main bar area where most nights you can enjoy a host of live entertainment including sports and music.